The game Jakovenko-Harikrishna from a few days ago in Shenzhen was quite interesting to me for a couple of reasons. So this is one part of the game that I found interesting. I’m not sure what Black gets out of this, although I suppose it’s equal and that’s what Black has been trying for. Clearly there are some strategic themes I am not understanding. One of my bigger struggles is looking at a position and not understanding what the most important feature is. It’s not necessarily that I look at the position and don’t understand the answer to that question – it’s that I often don’t even ask the question. The game is Aberg-Smith 2012 and it’s Black to move. Take a minute and ask yourself what the most important feature is. I spent time trying to get the knight to the c4 square. But I never did like the idea of 17…Na3 18.Ra1 Nc4 19.Rxa7 and now Black is in a world of pain. Then I thought about playing …f5 to try to lock down e4, but that doesn’t do much either. Here’s the thing though…this game appears in the “no pawn break no plan” chapter of Pump Up Your Rating by Axel Smith. So had I asked myself the question I would have noticed that Black can play 17…e5 right now to undermine White’s c pawn before it gets too dangerous, but that if Black doesn’t do so now, then White will play f4 and that’s that as far as the …e5 break goes. So after 17…e5 White is forced to take or make serious concessions. Then after 18.dxe5 Bxe5 White is still slightly better, but that c pawn doesn’t look nearly as scary as it did before. I need to start adding a step where I ask myself in any position I’m analyzing “What is truly the most important feature of this position?” Hopefully if I do so I’ll get in the habit and this will simply become second nature. Here is the entire game for anyone who is interested. Too Much Garry? No Such Thing! So I come across this position in Timman’s latest book The Longest Game about the five Kasparov-Karpov matches from 1984-1990. I was wondering about that game and so I looked it up. Wow…just wow. 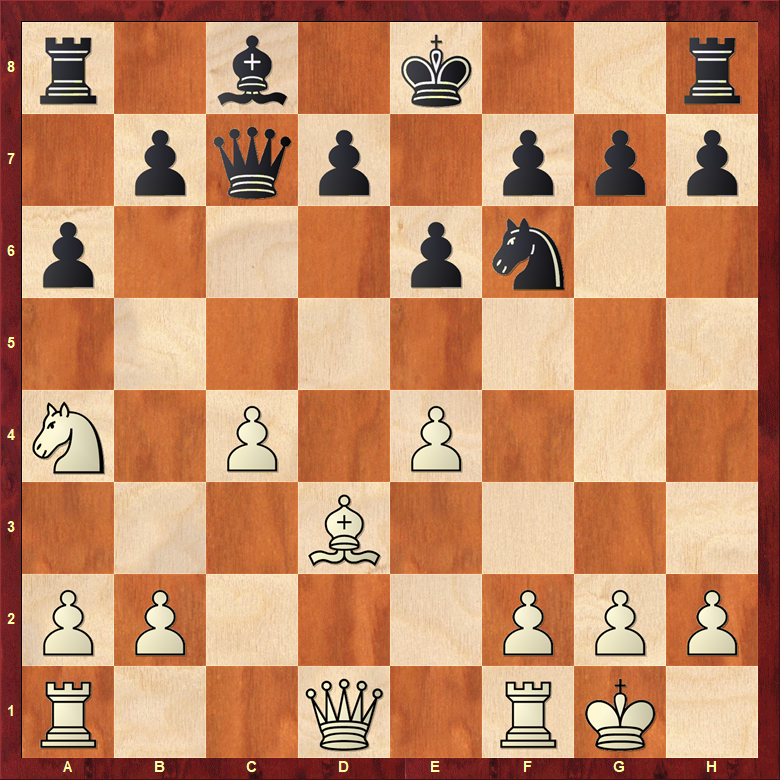 The threat of course is 17.Nh6+ with the discovered attack on the queen. This game is the stem game in this line, and Marjanovic chooses the worst way to deal with the threat by moving his king to h8, after which his position implodes since the knight on c3 is able to come into the attack via e4 with tempo since the queen is unguarded on d7. An interesting factoid here is that this game also seems to be a possible example of who was staying current in chess literature at the time and who wasn’t due to the very next game in this line, which took place the following year in Buenos Aires between Argentinian IM Raimundo Garcia and Columbian Augusto Pereira. I can find ratings in the high 2200’s for Pereira so it seems likely he was close to FM strength although he never got the title. Here Pereira deviated with 19…Qc5 rather than 19…Qf6. No matter, he still lost quickly. The reason for my comment about staying current in literature is that back in these days there were no databases and it could be hard to find recent games. Those players who were better at it often had an advantage over those who weren’t. The Kasparov game had been published in Informant 30, but unless players took the time to truly read and digest the Informants they would often be at the mercy of their better prepared opponents. Author wainscottPosted on March 3, 2019 March 3, 2019 Categories Analysis, GM GamesLeave a comment on Too Much Garry? No Such Thing! Currently I’m reading Jan Timman’s latest book The Longest Game in preparation for a review. I’ve long spoken about certain modern advantages about buying books that exist today, but didn’t 30 years ago when I first was playing in tournaments. Chief among them the fact that back in the late 80’s you’d see a book title in a catalog, and maybe a two-line description and that’s what you needed to use to decide whether or not to buy something. These days you can go online and read excerpts along with finding numerous reviews, etc. This is why it’s generally agreed that we’re in a Golden Age for chess books. However, there’s a huge advantage these days in the reading of chess books which I’d like to talk about a little today. 30 years ago books were the primary source of learning and improvement. Today they are just the springboard. Let’s take a look at this position from the second game of the first K-K match. I sat there looking at that and asking myself “But why 11.Qd2 in that position? Why block in the c1 bishop like that?” And that takes us to the point I want to make today. Back in the times in which this game was played, when a club player would see a note like that from a GM commentating on a game it didn’t matter if we understood it or not. If you couldn’t reason out the idea behind the move then you just had to move on. You were also limited to the idea fed to you by the annotator of the game. Whatever they decided to mention as alternatives is what you got to look at. The end. Here I’m able to do a number of things. First, I run Stockfish 10 which tells me after a depth of 36 that 11.Qd2 is 0.64, 11.Qd3 is 0.60, and 11.Qd1 is 0.60. OK, so this shows that there’s nothing inherently wrong with putting the queen on d2. My instinct of “but the bishop” is a knee jerk one, but in this day and age I can learn why. So I go to the reference tab in my database. I can see that in the 8.5 million games in my database this position was reached 19 times and that there have been four moves played. 11.Qd3 has been played twelve times (last played in 1980), 11.Qd2 five times (last played in 1980), and 11.dxc6 (in 1978) and 11.Qd1 (in 1966) once each. So now we can look at the games in the 11.Qd2 line. Of the five, four are GM games with one taking place between amateurs. If we disregard the amateur game and look at the four games we see that interestingly, Yuri Balashov was white in three of them, with the aforementioned Korchnoi having white in the other game. The players of the black bits were Timman, Inkiov, Furman, and Karpov. Since Timman mentions Korchnoi, and since it’s the stem game, let’s look at that game first. 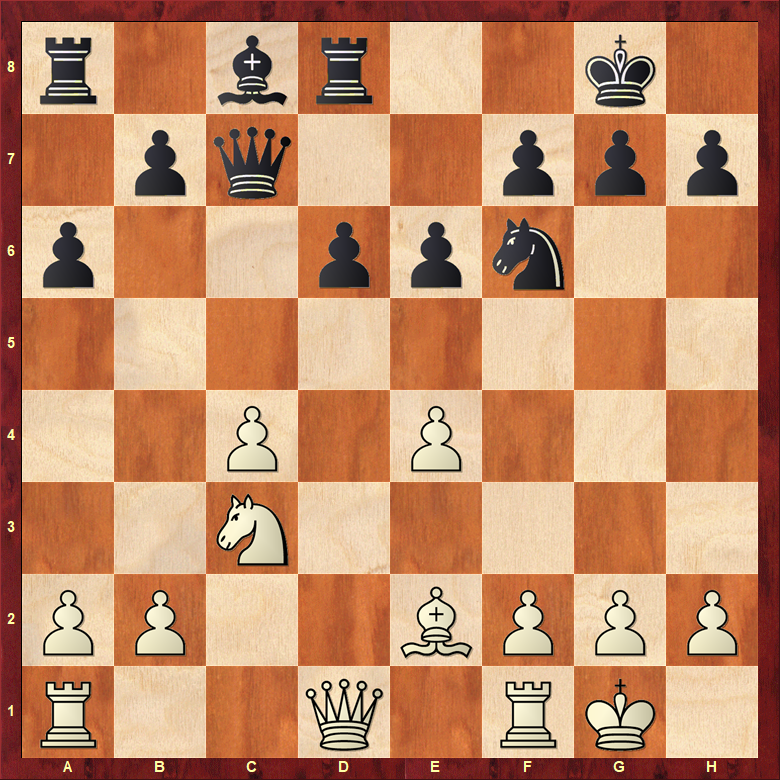 So in looking through those games it becomes easy to see that the idea for White was simply to play b3 and then develop the bishop that way. Therefore the queen being on d2 was not a detriment at all. It’s also interesting to see that Korchnoi’s plan of b3-a4-Rb1-Ba3-b4 was determined to be inferior by Balashov who then developed the bishop to b2 instead. The engine agrees with the analysis as well. I’m often amused at the view espoused by some that books are somehow outdated due to the fact that we have so many technological tools at our disposal. To me, books are enhanced rather than downgraded by these advances of the modern age. 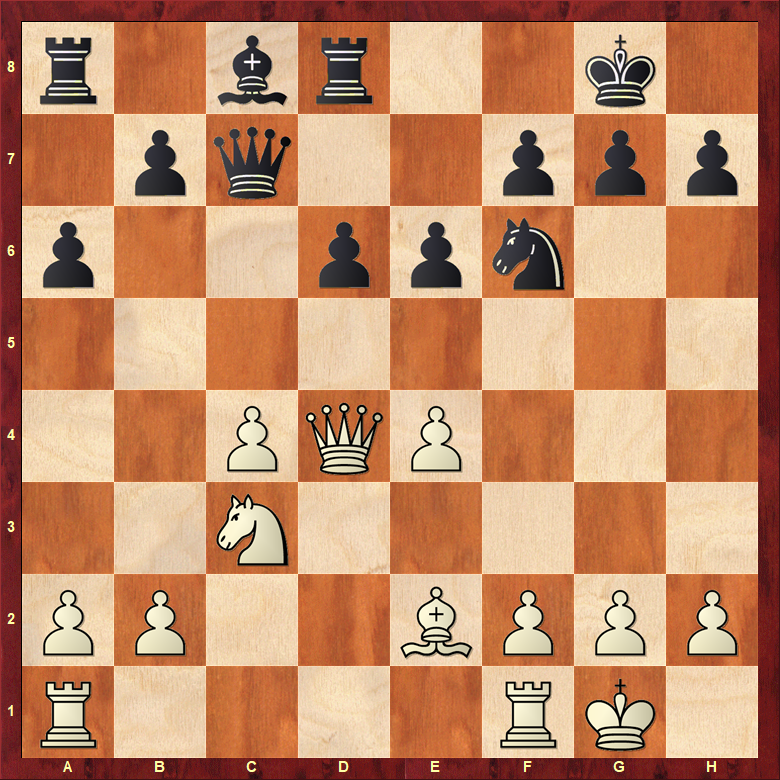 Earlier today I saw my friend Elshan ask on Facebook for games with Tigran Petrosian on the White side of the King’s Indian. GM Jacob Aagaard just posted “Qh8+” as a response. That sent me on a mission, and this is where I wound up…the final position from Petrosian – Spassky in Game 10 of the 1966 World Championship. Here is the entire game. Thank you Elshan and Jacob for getting me to look for this! However, there is a lot more to Bent than that footnote would suggest. He was clearly the second best player in the West for many years behind only Fischer. In fact, in 1970 during the first “USSR vs The Rest of the World” match, the captain of the World Team, former world champion Max Euwe, had decided that he would use Elo ratings to determine board order. Bent Larsen would not accept this as Fischer had been inactive for some time at this point and he himself had had several successes leading up to this event. In a gesture that surprised many, Fischer agreed and stepped down to play Tigran Petrosian on Board Two while Larsen faced world champion Boris Spassky on Board One. After a draw in their first game, Larsen sat down to the board for Game Two and promptly committed a cardinal sin in the chess world by completely ignoring the center in the second game. This allowed Spassky to create the following miniature. Take this as a lesson…ignore the center at your own peril! And yes, these days the Nimzo-Larsen attack (1.b3 or 1.Nf3 2.b3) is often used by strong players, but these days the theory and understanding are quite far advanced compared to where they were when Bent was pioneering this setup. For those of you who may not be familiar with these books, let me start by telling you that they are very well done. They’re far different than most books I’ve seen on positional chess. One of the main reasons for this is that rather than breaking the material up into the expected chapters of open files, outposts, strong squares, etc. the two volumes are split with Volume One covering openings and middlegames, and Volume Two focusing on structures and dynamics. Yes, dynamics. 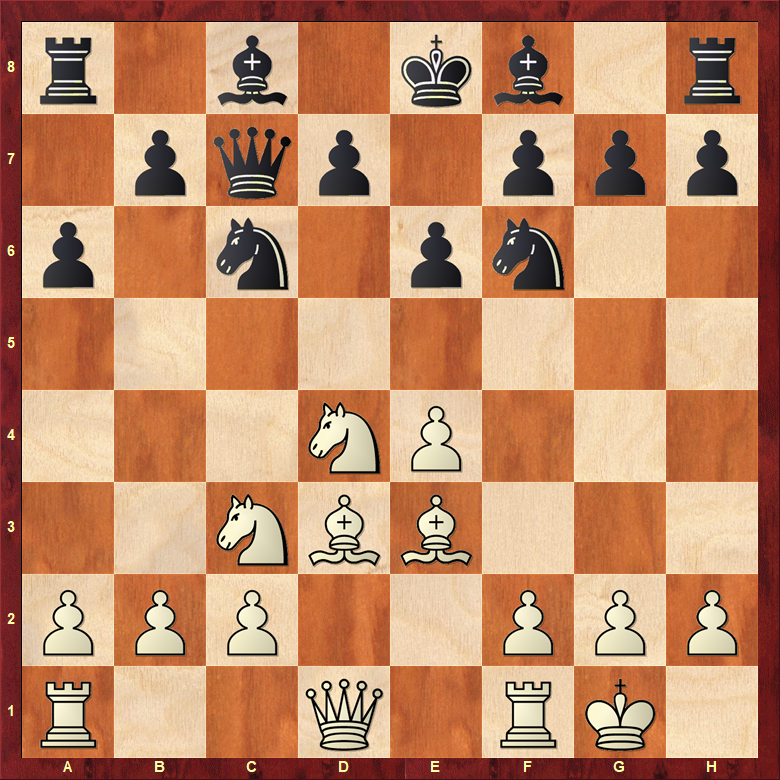 After all, as Botvinnik noted, “tactics are the servant of strategy.” Which is a way of saying that positional play is often aimed at gaining a large enough advantage to crash through tactically. This post is not a review. If you would like to see my review of Volume Two of this set you may click here. If you would like to read a review from several years ago on my original blog about a Shirov DVD showing how tactics crown positional advantages, then click here. So if this post is not a review, then what is it? I’d say it’s a call to action. You should purchase these books if you enjoy well presented material. For instance, in Chapter One of Volume One the theme is “A Lead in Development.” There are five well annotated games which are shown first. I present – without annotation since that would take forever to copy from the book – four of those five. The fifth is a training game of Sakaev’s and so is not in my database. In this game Yasser fell behind in development and Karpov steamrolled him. So when all is said and done you’ve have five games with detailed annotations and another four to review on your own. I really enjoy books like this with that added element of “go do more work on your own” to them. Almost as much as I love the Soviet School of Chess. I’ll be the first to admit I’m not great with understanding the majority of the exchange sacrifices I see. In this case I took a lot of time trying to puzzle it out, and as near as I can figure out the key here is the position after 22…Rxb2. I think that must be the position that Westerinen saw when he went for it. Of course I have no real idea, but if a strong player wants to throw me a bone here and let me know if I’m on the right track that would be awesome. These days Jan Timman is mostly know as an author of many fine chess books. However, if you, like me, were a chess fan in the 80’s then you recall that Jan Timman was widely considered to be one of the best players in the West for a decade or so. While he never got a shot at the world title he certainly made his mark. Here he is in a game against “N. Davis” from 1966 featuring a sparkling attack from the White side of the Saemisch King’s Indian. Here White should be able to hold a draw, but Black will be able to torture him for some time with the two bishops.